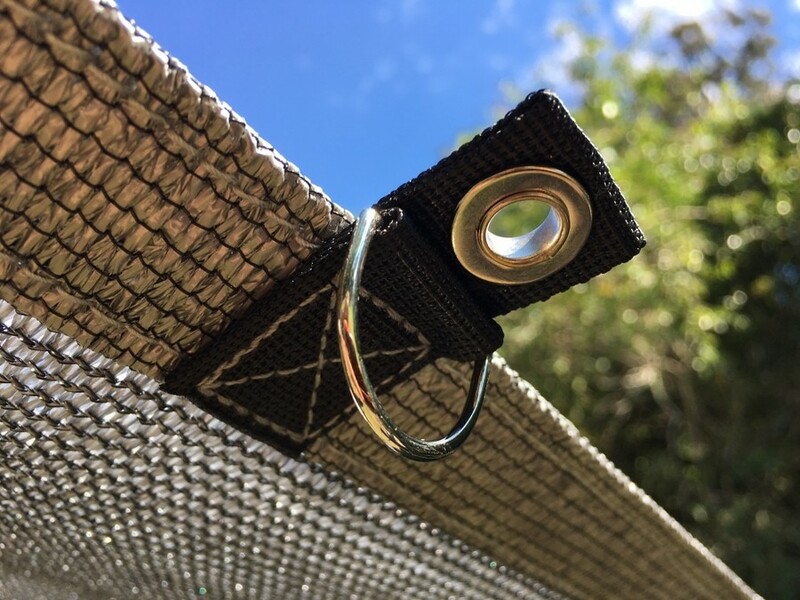 Dual D-Ring with Eyelet attachment points on Reinforced tabs. 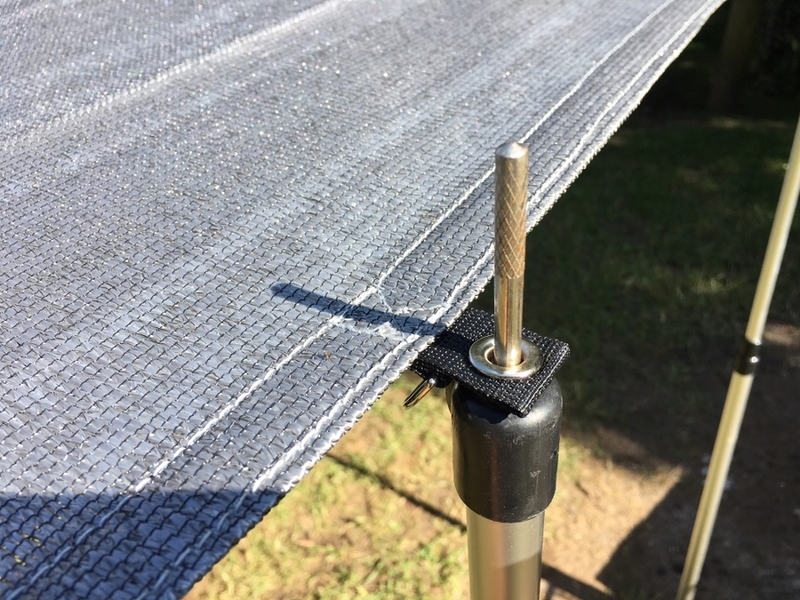 This enables use with poles (not included) as well as by the standard guy rope attachment. The shade rating has been improved to 95%. 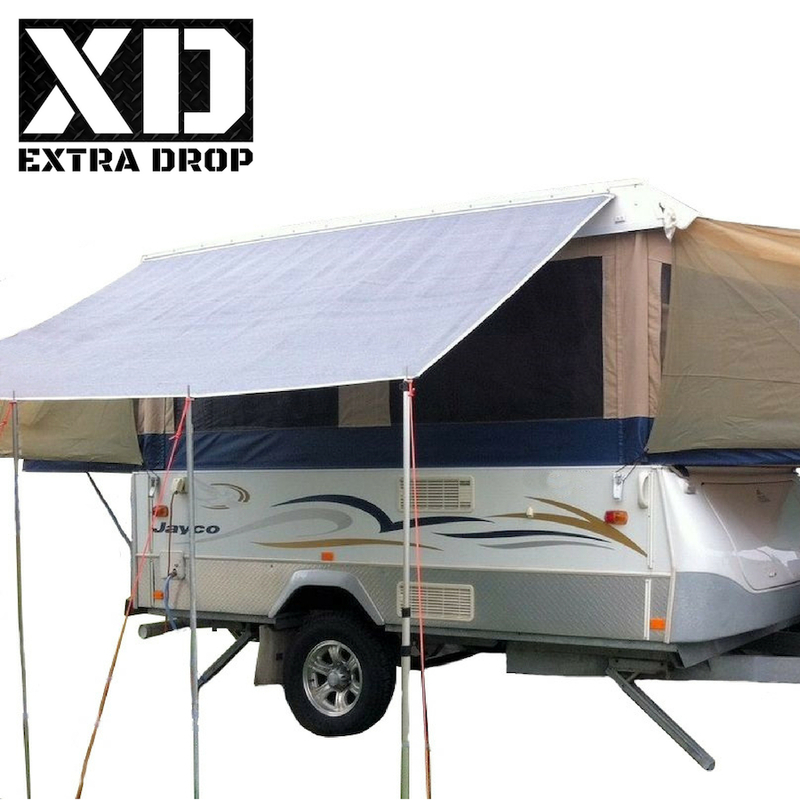 Sized to fit the off-side of the Jayco Eagle & Hawk or other similar sized Camper Trailers this Kitchen Awning Sun Screen is 3.11m (width) x 1.95m (height / drop). The sunscreen is a flexible solution to block out the sun, provide a privacy screen but still let the breeze through. 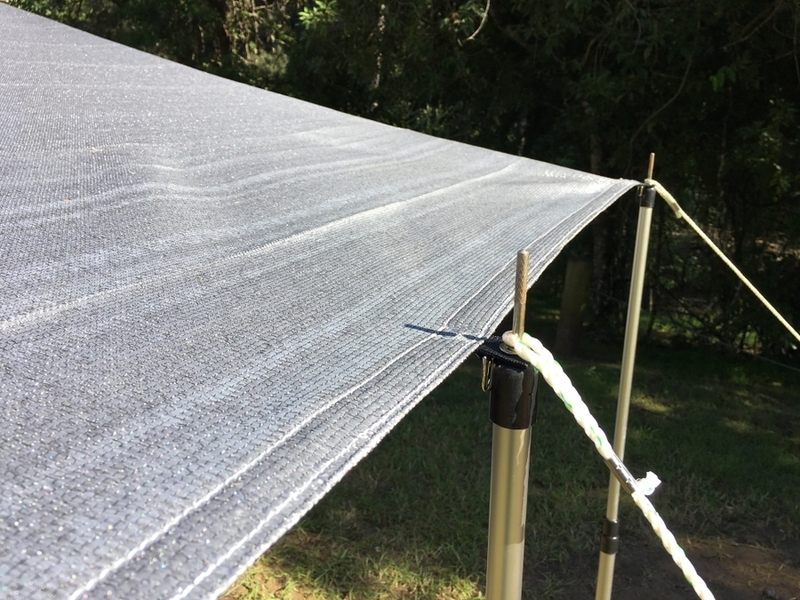 Easy and simple to set up simply slide along sail track (where fitted) on your camper trailer. 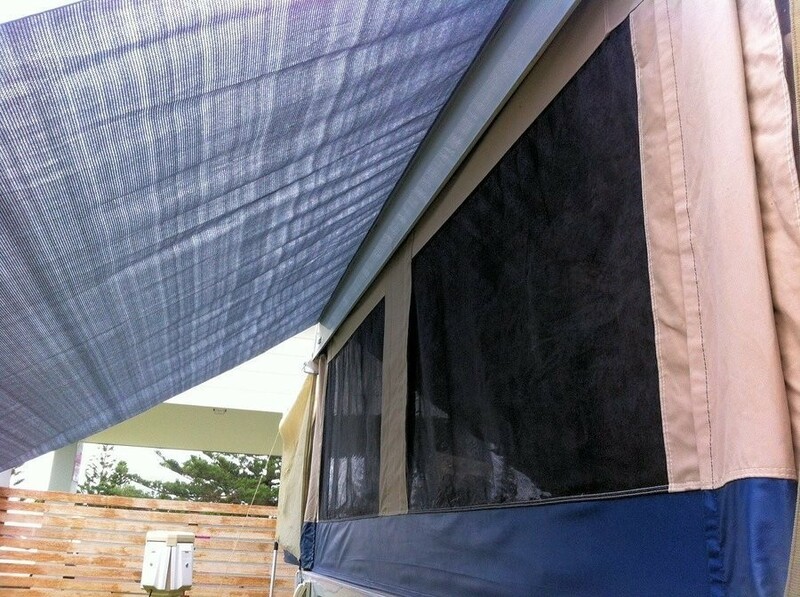 Made from high quality shade cloth this kitchen awning screen will provide privacy from caravan park neighbours while also allowing light and air into your camper trailer. Other benefits include increasing the efficiency of your fridge by keeping the sun off your van. Includes a hand carry bag. 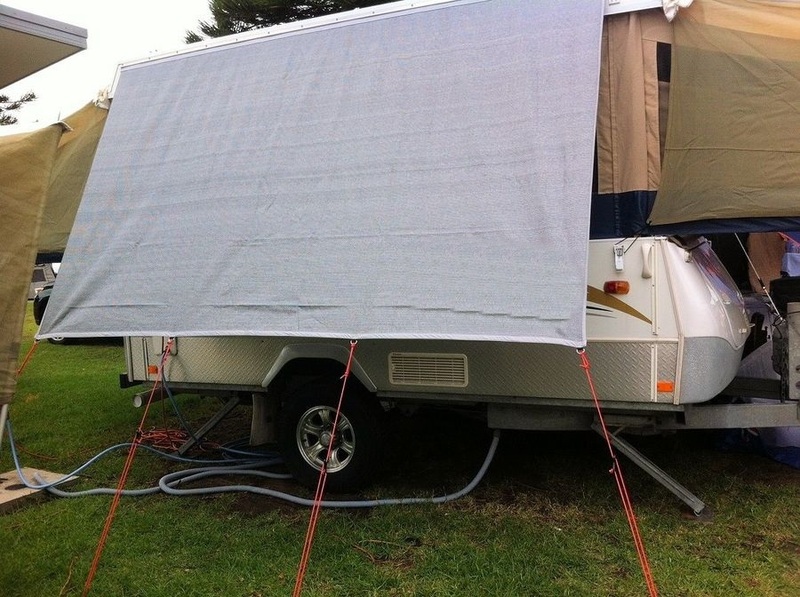 Jayco Camper Trailers from 2012 onward come with sail track channels pre-installed on each side of the van. Campers manufactured prior to this may require installation of sail track (not included) to attach the sunscreen. This is a simple and relatively cheap task that could be undertaken by the average handyman.